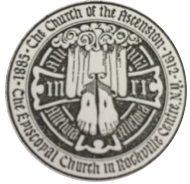 It was in 1885 when Sylvester Gildersleeve and Francis Wilson undertook the project of securing Episcopal services for the fledgling village of Rockville Centre. Having received permission from the Right Reverend Abram N. Littlejohn, first Bishop of the Diocese of Long Island, the two gentlemen secured Institute Hall for use for Divine Worship, and furnished it with seats and an organ. Not only did Bishop Littlejohn approve this movement as a mission for the diocese, he also responded generously to an appeal by Mrs. Wilson, making it possible for the mission to secure furniture, prayer books and hymnals. Some of Mrs. Wilson’s New York friends made sizable donations to enable the furnishing of the chancel. Events moved quickly for the mission, now called The Church of The Ascension: within months, a Church School and a choir were organized; a carved, oak baptismal font and silver Communion vessels were donated, and the parishioners took full financial responsibility for the mission. Three years later – on October 13, 1888 – the cornerstone of the church was laid. Work proceeded rapidly, with the first services held in the new church on Easter day, April 21, 1889. The whole of the debt was paid two years later. The Church of The Ascension remained a mission of the diocese until, in 1911, the growing number of parishioners gave rise to a movement to petition the diocese for status as an incorporated parish. At the Diocesan Convention of 1912 The Church of The Ascension was admitted to parochial status, and The Reverend Dennis Herbert O’Dowd, who had been assigned as priest-in-charge in 1910, became the first rector. 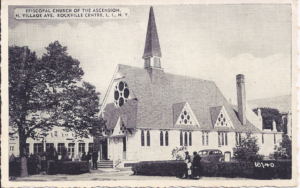 The parish continued to thrive as Rockville Centre and its surrounding communities continued to experience rapid growth. In the late 1920’s, The Church of The Ascension established a parochial mission: Saint Andrew’s Church, Oceanside. 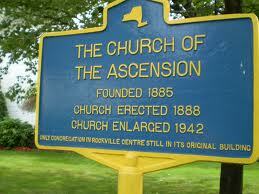 This mission of the Rockville Centre parish became a parish itself in 1955. As time went on and numbers increased, it became apparent that the capacity of the original church building was becoming increasingly inadequate. In 1927 two homes were purchased on Hempstead Avenue and another one on Varick Court, with the intention of selling the North Village Avenue property and creating a new parish complex. Due to failing health, Reverend Handsfield retired in 1928 and by June 1929 the Reverend Seward Goss Sherwood was called to be the 3rd rector. 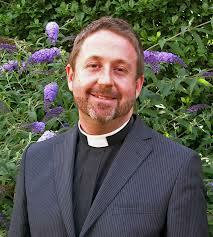 Reverend Sherwood fully intending to proceed with the ambitious building program proposed by his predecessor. Due to the stock market crash in October 1929, Sherwood proceeded with caution. As the depression grew deeper, the building campaign was placed on hold. It was the hurricane of 1938 that helped give the building project an unexpected reawakening. Left over Insurance money for repairs to the parish facilities due to the hurricane made it possible to put some funds away for a new proposal. Vestrymen and architect William Cross donated his services to create renderings of the new facilities, but this time it would be to enlarge the existing church and parish hall, doubling the size of each. Construction began in 1941 and was completed by the spring of 1943. In 1945, the parish was again debt-free and a rededication service was held in the enlarged church with great jubilation that November. Following the war, many new families moved to the area from the city and the parish enjoyed a time of renewed growth. Today, one hundred thirty years after its founding, the Church of the Ascension continues to be a place of prayer, worship and community, not only for our parishioners, but to all who enter through our doors. We are proud of our past, praise God in the present and look forward with hope to continue to be a place of worship and love for all of Gods people.